You can grow the world's most nutritious produce, then lose most of the vitamins and minerals before that food gets to your plate. I picked up many of Jerry Minnich's tips for preparing, cooking, and storing produce at my mother's knee, but others are new to me. I figured I'd share them all in case your mothers weren't as health-conscious. Eat your food as soon as possible. My favorite method of cooking a meal is to wander out into the garden, grab a bowlful of fresh vegetables, then cook them up immediately. Since fruits and vegetables begin to lose nutritional quality the moment they leave the vine, it's best not to pick your crops in the morning then cook them up in the evening, or toss them in the fridge to be dealt with over the weekend. In fact, this probably explains by grocery store produce feels so dead in my mouth --- the plants have been losing vitamins and minerals for days between the farmer's field and my table, and very little nutrition is left. Never let your food wilt. If you must store your food for some length of time before eating it, put it in the fridge immediately rather than leaving it out in the sun or on a hot counter. One study showed that kale lost 89% of its vitamin C when left at 70 F for two days after picking, compared to 5% for kale stored just above freezing for that same period of time. 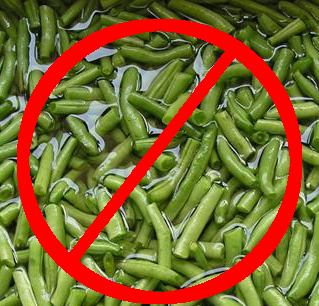 On the other hand, a few crops are better stored outside the fridge unless your kitchen is unusually hot --- okra, cucumbers, green beans, peppers, eggplant, and tomatoes are shocked by cold temperatures and lose more nutrients in the chill. Cut your food at the last minute. When any part of a vegetable except its protective skin is exposed to air, the vegetable loses nutrients rapidly. So, those bite-sized baby carrots in a bag at the grocery store? Probably pretty nutritionally empty. In your own house, you can wait to cut up fruits and vegetables until just before dumping them into the frying pan or onto your plate. Eat the skins. 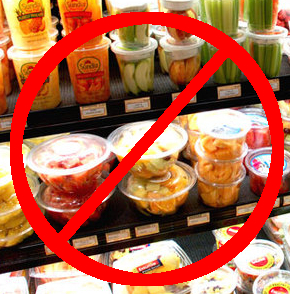 In many fruits and vegetables, vitamin C, niacin, riboflavin, and vitamin A are concentrated in the skins, so don't peel anything. Those same skins are usually high in fiber, which everyone knows is good for you. Cook food quickly and away from water. The best ways to cook your food for nutrient preservation are steaming, pressure cooking (at least it's over fast), sauteing or stir frying. 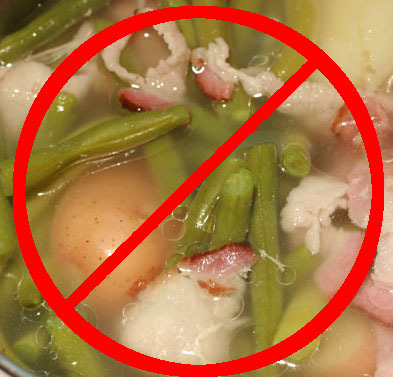 If you really feel the need to boil your green beans for three hours with a hunk of bacon, you shouldn't even consider them vegetables. As a side note, Jerry Minnich also recommends cooking only in stainless steel, glass, cast iron, enamel, or lined copper pots. Don't add salt. 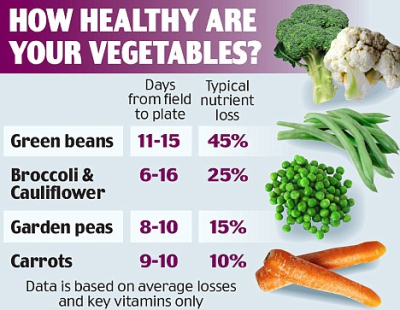 Salt in your cooked vegetables expedites loss of nutrients. Apply the same theories when preserving your food. Anything that can be stored in a root cellar is best stored there (with the rare exception of potatoes, which are more nutritious but also more prone to sprouting if stored between 50 and 60 F.) After root cellaring, freezing is usually the best way to preserve nutrients, but be sure to steam blanch, cool without submerging in water, and freeze at the coldest possible temperature. The long cooking time required for canning results in the loss of three times the nutrients lost during freezing, so increase the pressure to 15 pounds for all produce and decrease the processing time accordingly. Store your canned goods in a cool, dark place (where they will not lose any more nutrients --- a year later, canned goods might actually be higher in nutrients than produce in an old freezer where the temperature is 30 F instead of the recommended 0 F.) Finally, drying is probably the worst way to preserve your food since you lose significant quantities of vitamins C, B, A, and thiamine, especially if you use sulfur. In all types of food processing, keep the time from vine to larder as short as possible. Follow your bliss with Microbusiness Independence. Can you taste good nutrition? I have to ask if some of the cooking in water just releases the vitamins rather than destroying them. ie soup, the veggies and meats are boiled for a while, but you eat the liquid too. I think I remember that boiling is actually good for releasing the nutrients in bones, and this is the reason that soups are so nutritious. That's a really good question, and I don't actually know the answer. I suspect that at least some of the nutrients are still present in the water, and I tend to think of soups as good for you even though they are boiled. 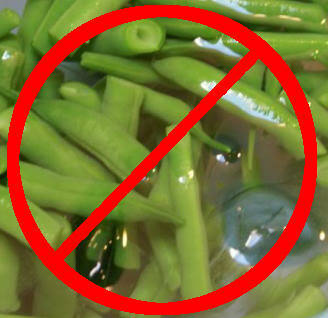 When I was a kid, my mom always used to drink the water she'd boiled her greens in for that very reason. I'd love to hear from someone else who knows better, or who takes the time to research it! Some of this I did know but some I didn't. Thanks for sharing! I had a feeling everyone knew parts of this information, but I couldn't decide if any single part was common knowledge or if we'd each just picked up different bits and pieces. Thanks for reading anyway! Can't wait till this posts on Facebook...I want to share this with my mom. I hope it posts soon! I don't know why facebook grabs my posts at random times and in random clumps.